Now there can be a multitude of reasons for this (certificate issues being the most common), but this is what I observed and how I fixed the issue. The first thing I noticed was that, when I attempted to load the logon page, the “VMware Cip Message Proxy Service” service would stop. Further to that, an error was logged in the Application event log stating that there was a fault with the “vmware-cip-msg-proxy.exe” application. A corresponding event was logged in the System event log – “The VMware Cip Message Proxy Service service terminated unexpectedly”. “VMware Cip Message Proxy Service” appeared to being denied access to the “%localappdata%\VMware\CIP” folder in my profile path (I believe it is trying to create a session lock or log file, but don’t know for sure). 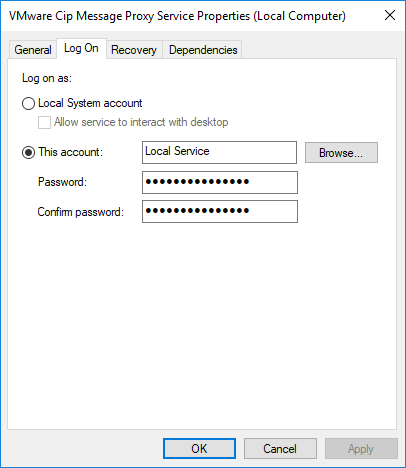 Having restarted the service and refreshed the logon page, the “Use Windows session authentication” checkbox was finally enabled and I was able to log in with my current Windows session. I don’t know why this change is necessary, how it’s supposed to be configured, or whether there is a better workaround, but it’s a solution that I’m happy to work with and thought it might be useful to share my findings. This entry was posted in VMWare on March 22, 2019 by Nick Brown. This entry was posted in Hyper-V, Networking, VMWare on November 23, 2016 by Nick Brown. This entry was posted in Disaster Recovery, VMWare on November 1, 2016 by Nick Brown. This entry was posted in Citrix, Provisioning, VMWare and tagged Citrix, Provisioning, VMWare on May 14, 2016 by Nick Brown. An issue can occur when Windows 2012 systems are restored from a GhettoVCB backup that was taken when the source VM was powered on. The system will fail to boot with error status code 0xc000000e. 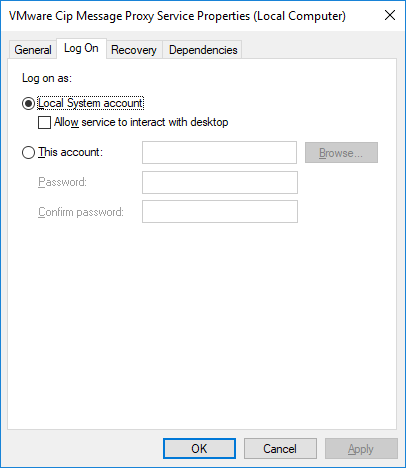 This entry was posted in VMWare, Windows on December 10, 2013 by Nick Brown.